Denver drivers ought to be concerned about wheel alignments for two primary reasons: safety and money. When your wheels are out of alignment, they can pull to one side, sometimes severely. One moment of inattention could put you into on-coming traffic, a curb, or off the road. And an improper alignment will chew up your tires very quickly when you’re driving on freeways and surface streets. One of our customers said the wheels on his vehicle were a little out of alignment before a family vacation, but he didn’t think it was that bad, so he didn’t take care of it before he left on his trip. A couple of days and a lot of highway driving later and his front tires were worn down to the cords. He had to take a half day out of his mountain vacation to find a town large enough to have a tire center so he could get replacements. Part of the alignment service is an inspection of the steering and suspension components. Whatever caused the wheels to be knocked out of alignment in the first place may have also damaged important parts. So we want to be sure to replace broken or bent parts as needed. The process corrects alignment of each wheel along three axes: toe, camber and caster, as well as front to rear alignment. Your vehicle owner’s manual may have a recommendation for how often alignment should be checked. If not, ask your helpful service adviser. Here are some things to look for that should be a warning that you need to get in for an alignment check right away: Your vehicle is pulling to one side, your steering wheel isn’t centered, you feel a vibration at higher speed or you see unusual tire wear. Take care of your car and it will take care of you. 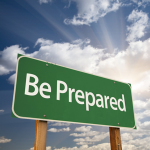 Following basic car maintenance tips can help you stay on the road and out of the repair shop. Engine oil – Checking and changing the oil is critical in keeping today’s engines running properly and efficiently. Follow your manufacturers guidelines for changing oil intervals, usually every 3,000 miles or three to six months. Transmission fluid – Checking the transmission fluid is another vital item on the car maintenance list. Follow the manufacturer’s recommendations for change intervals, usually about every 30,000 miles. Battery – Most car batteries today are maintenance-free, sealed, and can last more than three years. The first sign your battery should be replaced is often when you have trouble starting the engine. Tires – A car tire inflated to 35 pounds per square inch (psi) can lose one psi every month, or for every 10 degrees Fahrenheit of temperature change, so your car maintenance list should include checking tire pressure. Also check your spare. Rotate the tires every 6,000 miles to prevent uneven wear. Replace them when they become worn, and have the alignment checked if the car pulls to either side when driving or if you notice uneven tire wear. Engine coolant – Replace most engine coolant or antifreeze every 30,000 miles – or every two to three years. 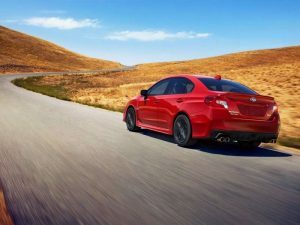 Newer formulas, however, may last up to 50,000 miles. Brakes and brake fluid – Have the brake fluid levels checked to ensure they are within tolerance. How often you need to replace brake pads or other components depends on how you drive and typical driving conditions. Warning signs of a brake problem include noise, vibration or “grabbing” when you apply the brakes. Air filter – Basic car maintenance recommends changing your air filter each year or every 12,000-15,000 miles. A clean air filter can help your engine “breathe” better and improve gas mileage and reduce harmful emissions. Windshield wipers and wiper fluid – Windshield wiper care is one of the most neglected basic car maintenance tips. Replace the blades every six to twelve months or whenever the rubber becomes worn. Check the wiper fluid every couple weeks and keep it full. The power steering system in your vehicle is made up of several components that can cause problems after years of use. Some of these problems might be easy to catch as soon as they begin, but others might be less obvious, forcing you to have major parts replaced. Here are some steps you can take so you can catch those minor problems before they become more serious and costly. Check the power steering fluid. If your vehicle is hard to steer, it can be a sign of a low steering fluid level. Most vehicles on the road have hydraulic power steering systems. This means that pressurized fluid is used to help you do the work of steering. A pump pressurizes the power steering fluid to provide the boost you need. Other possibilities include worn suspension system parts and loose steering pump belt. If you hear a whine or loud noise when you’re turning the steering wheel while the engine is running or while you’re driving, the belt might be slipping. In some vehicles the pump is driven by the serpentine belt, while in others there is an electric pump. The most common problem for vehicles is that over time, the steering fluid becomes contaminated and can actually cause leaks in the hoses and connections. It becomes harder to steer and could even cause total failure of the power steering system. Periodically, your service adviser may recommend you change transmission fluid, which involves removing the old, dirty fluid and replacing it with fresh fluid. This helps the power steering components last longer, maintains your vehicle’s steering performance and keeps you safely on the road. Your technician will also have your system checked for leaks and the belt inspected for other pending needs, to help you avoid those pesky power steering problems. Springtime is the perfect time to go through a vehicle maintenance checklist and get your car ready for the months ahead. We’ve put this one together so you know what should be checked out. Regular oil changes are very important for vehicle maintenance. Clean oil in the engine keeps your vehicle running smoothly, so if it’s been a while, now is the time to change it. 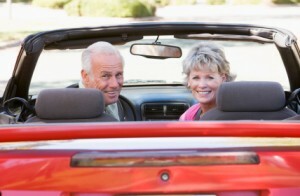 Your vehicle’s cooling system needs maintenance. Not only does it keep the engine from overheating but it also keeps it from freezing. And since we experience springtime weather that can have both extremes, it’s important to have the system flushed and replaced with fresh coolant. The terminals and cables on your battery should be inspected for wear or damage. 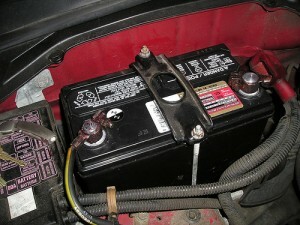 The battery fluid should also be checked along with the batteries ability to hold a charge. If you’ve had the same battery for 4 years or more, you might want to have it replaced. The tires on your vehicle should be checked to make sure they are in good condition and will provide the proper traction you need for springtime (rain, snow) driving. Checking for proper tire pressure is another thing that will need attention. 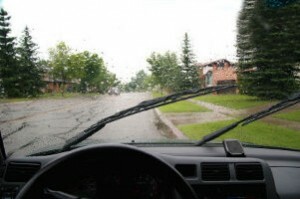 Windshield wipers should be inspected and replaced if they are worn out and also refill the washer fluid reservoir. With spring storms and dirt on the roads, sometimes we use our wipers more often than we thought we would. If your car was built in the last decade, chances are good it has a cabin air filter. This filter needs to be checked because it screens out dust and debris out of the air that’s entering your vehicle’s passenger compartment. To improve the quality of the air you breathe while you drive, your cabin air filter should be changed. Finally, the brakes on your vehicle should be checked. If you haven’t had them checked in the last six months, now is the perfect time, because there’s no perfect time for the brakes to fail. Vehicle maintenance can and should be done all the time, but if you haven’t started yet, springtime can be the perfect time for a new beginning. First, spark plugs have a better design and are made of better materials that last longer for drivers. The second reason spark plugs used to have to be changed more often is because carbon deposits would build up in them when fuel wasn’t burned completely and foul them up. 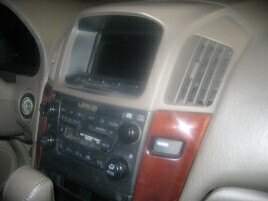 But with modern engine management controls that doesn’t happen as often. Engine control computers precisely time when fuel is injected into the engine and when the spark plugs fire. Unless something is wrong, spark plugs just don’t misfire as often now. Some engines have more than one coil. Coils wear out and need to be replaced occasionally. Also, spark plug wires can wear out and need to be replaced. Modern engines in vehicles are delivering more power and better fuel economy all the time. That’s largely credited to fast engine control computers, advanced sensors, electronic ignition and improvements to the lowly spark plug. It will be interesting to see where future developments take us. One last thought…it’s important to have the right kind of spark plug for your vehicle. Because engines are designed to run with different internal temperatures, spark plugs have different designs that work properly within those temperatures. Your service adviser at Express Car Care will be able to get the right plugs for your vehicle and be able to advise you as to when you should replace your spark plugs as well. Question: How do I know when I need a wheel alignment? Express Car Care Answer: When Denver drivers wheels are properly aligned, they point in the same direction. When they are out of alignment, most drivers notice a couple of things. First, the vehicle pulls to one side when driving. It can be slight or pretty severe. If your wheels have been out of alignment for a while, you’ll also start to see uneven tire wear – the shoulder on either the outside or inside of the tire is worn down more than the other. There are many steering and suspension components that are joined together. Everyday driving can cause a drivers wheels to go out of alignment over time just from the joints loosening up. That’s why a simple alignment check is recommended every couple of years. Depending on where you live or the conditions you drive in ( off-road driving, harsh winter conditions, poor pavement, etc.) an alignment inspection every year may be necessary. Suspension and steering components wear over time as well, which can lead to alignment issues for drivers. Of course, hitting a curb or pothole can knock a wheel out of alignment or damage a steering or suspension part. Your friendly and knowledgeable service adviser will check your tires for uneven wear. The type of wear provides clues to what might be wrong. Parts located under the car are inspected for wear or damage. An alignment machine will provide a reading of how each wheel is aligned. The reading is compared with the alignment settings and then makes the necessary adjustments and repairs to bring your wheel back into alignment. Due to the size of our shop, we don’t have the equipment to provide alignment service, but we can recommend quality shops that do provide this necessary service. Putting off a wheel alignment can be dangerous because of tire wear, a bad alignment can chew through a tire pretty quickly. If you see uneven tire wear, or if your steering wheel is off center, or your vehicle pulls to one side, ask your service adviser about getting an alignment check.